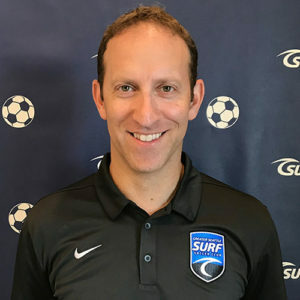 Kevin Alschuler, Ph.D., is a psychologist who uniquely blends expertise as an athlete, coach, and psychologist to positively impact sport performance and injury recovery. Dr. Alschuler’s “day job” is as a psychologist at the University of Washington, where he works with individuals living with disability to maximize their function in the face of challenges or adversity. His sports work blends this human performance interest with his background as an athlete and coach. Dr. Alschuler’s athletic accomplishments range from being an all-American swimmer in high school to being a national-level rower at the University of Michigan to a more recent transition into running. For a number of years, he was also a rowing coach, working with rowers from middle school to national team level. Dr. Alschuler’s sport psychology work has included consulting, clinical care, and research across high school, college, and elite athletes in sports ranging from rowing to football to basketball to ultramarathon running.